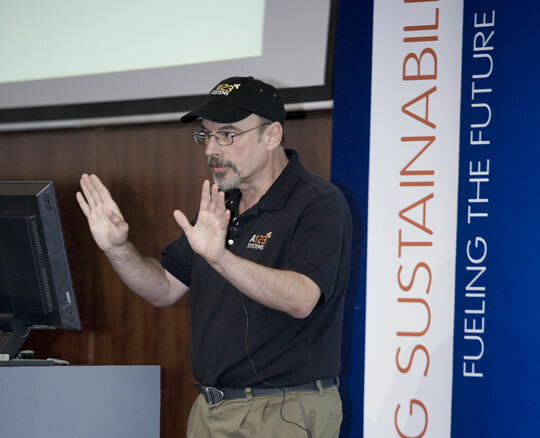 Bill has designed, built, and raced High-performance Electric Vehicles since 1995 and is a founding board member and first National Technical Director for the National Electric Drag Racing Association (NEDRA). Bill has authored the original safety rules for electric drag racing. These safety rules are have been adopted by NEDRA, NHRA (National Hot Rod Association), and FIA and the Swedish Hot Rod Association. Bill is a research Scientist and Instrument Designer in his “day job” at the National Oceanic and Atmospheric Administration (NOAA) since 2003. Before that he was at the National Institute of Standards and Technology (NIST) from 1982. His work focuses on Superconductivity, Cryogenic heat transfer, Ultrasonic microscopy, Magnetic microscopy, High-energy X-ray diffraction, Cavity Ring-down Laser Spectroscopy and Atmospheric Chemistry. Bill commutes daily in a high-performance EV conversion since 1996 (1985 VW Cabriolet - 100+ MPH top speed).